AFRICA/NIGERIA - UN Alarm: "Violence between farmers and herders risks turning into forms of terrorism"
Abuja (Agenzia Fides) - "Violence between farmers and herders is increasingly a major security threat in the region and risks morphing into the terrorist attacks that have defined the security landscape", said Mohamed Ibn Chambas, who is Head, UN Office for West African and the Sahel, UNOWAS, in a report presented to the UN Security Council. 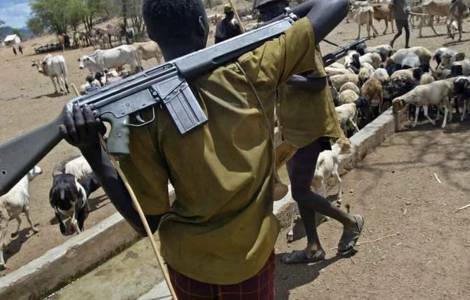 "Farmer-herder conflicts are becoming more sophisticated and deadlier, especially in Nigeria’s Middle Belt. During four days in June, new spates of attacks and retribution killings between herders and farmers in this region resulted in scores of deaths", Mohamed Ibn Chambas says. The States most affected by the conflict between Fulani herders and farmers are Benue, Plateau, Nasarawa, Taraba and Adamawa. "It is a continuous massacre that takes place every day", confirms to Agenzia Fides Fr. Patrick Tor Alumuku, Director of the Office for Social Communications of the Archdiocese of Abuja. "It has never happened, in the life of this country, that there have been such frequent massacres of this kind", emphasizes the priest. The fact that the Fulani are Muslims and farmers are Christians, feeds the fear, especially for Christians, that the conflict is of a religious nature, also because in the North of Nigeria the Islamist sect Boko Haram is still active. The report by the UN special envoy stresses that the latest tendency by Boko Haram is to employ suicide bombers and that out of these, one in five is a child. The deterioration of the security conditions have pushed the Nigerian Bishops to ask on two occasions for the resignation of President Muhammadu Buhari. The first time at the end of April (see Fides 27/4/2018) after the massacre of 24 April in the village of Mbalom (see Fides 25/4/2018), in which two priests, Fr. Joseph Gor and Fr. Felix Tyolaha were killed, together with 15 parishioners.